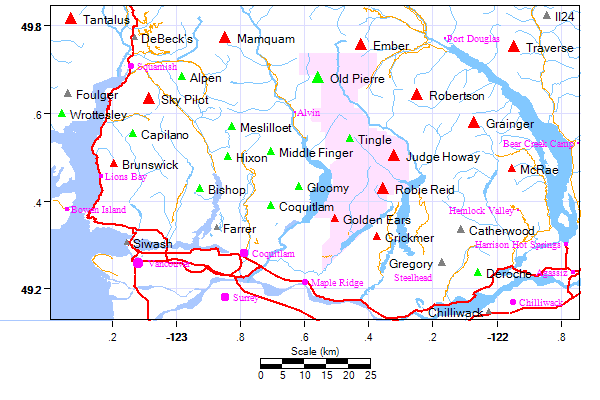 Area: 673 sq km.Location: The southern portion of this 55,590-hectare park is dominated by Alouette Lake and the Golden Ears massif. Numerous trails criss-cross this heavily used area. On the other hand, the remote, rugged, glaciated mountains of the northern portion of the park have only seen a handful of visitors. The PARK GATES are only open from 7am to 11pm sharp during the summer.